Trekkies, brace for impact. Yet another round of ‘Who Did It Better?’ could be brewing between Star Wars and Star Trek fans. The two sci-fi franchises have long been pitted against one another, leaving some diehard fans to bash one series in favor of the other. 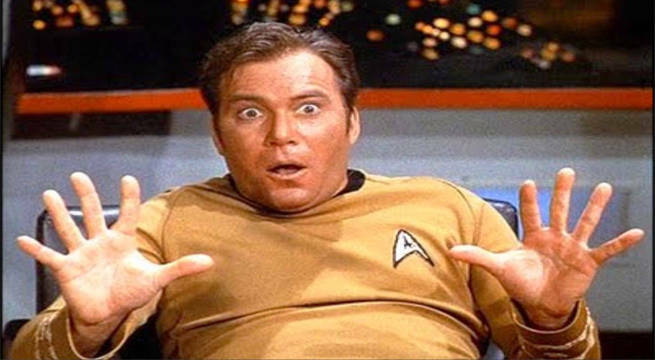 And, now, William Shatner has again commented on the debacle and given Star Wars a bit of overdue credit. During a Star Trek convention in Las Vegas, Shatner spoke to thousands of fans who were attending his anticipated appearance. It was there he dropped a bomb on fans, saying, “First of all, Star Wars created Star Trek. You know that? Clearly, a few fans weren't expecting the controversial reveal as a few Orions were probably seen shocked off to the side. Why? Well, at face value, Shatner’s statement is incorrect. Star Trek: The Original Series aired well before Star Wars’ debut in 1977. Thankfully, Shatner went on to clarify his statement and told fans Star Wars is what essentially revived Star Trek from certain obscurity. “Every year there was the threat to be canceled. The third year, we were canceled, and everybody accepted it,” Shatner told fans, recalling the years he spent playing Captain James Kirk. While Star Trek: The Motion Picture didn’t live up to Star Wars’ $775 million box office gross, the franchise’s revival has since spawned off multiple new series and 13 feature-length films. In fact, Star Trek Beyond was met with favorable reviews and has so far grossed over $194 million worldwide.